Elected to the Senate for Western Australia 2016. (Pauline Hanson's One Nation Party to 18.12.16; Independent from 18.12.16). Disqualified 11.1.17 under sections 44 and 45 of the Constitution. But this is not the end of the story. We still need to wait for the High Court to decide whether Mr Culleton was capable of being chosen as a Senator, before the method of replacement can occur. So what has the Senate President Stephen Parry actually done? Any person who….is an undischarged bankrupt or insolvent…. If a senator or member of the House of Representatives….takes the benefit, whether by assignment, composition, or otherwise, of any law relating to bankrupt or insolvent debtors….his place shall thereupon become vacant. It has been reported that Mr Culleton and his staff are no longer being paid after the automatic vacancy. Mr Culleton has also been warned to stop calling himself a Senator as he could be charged with impersonating a federal official. 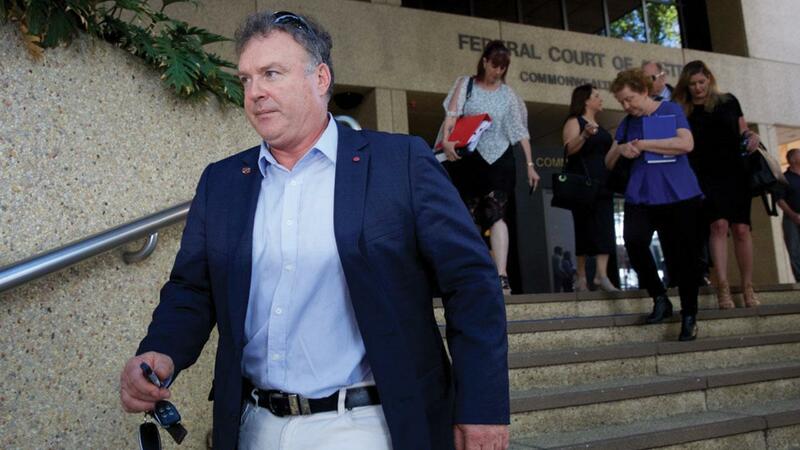 Mr Culleton is appealing his bankruptcy and the Federal court yesterday heard that a benefactor was willing to pay his debts. However, if the vacancy of a Senate place is automatic once a person is declared bankrupt, can the country just sit around and wait to for someone to exhaust all appeals processes before they are actually removed from the Senate? The day after the Senate President informed the Western Australian Governor of the Senate vacancy Mr Culleton’s legal team wrote to Stephen Parry stating their belief that his letter declaring the seat vacant was premature. How is a new Senator chosen to replace Mr Culleton? We do need to wait until the High Court sitting as the Court of Disputed Returns makes a decision as to whether Rod Culleton was eligible of being chosen as a Senator. If he was ineligible of being chosen there could be a recount of the Western Australian Senate ballots, or even a new election (click here to read an article we wrote about this late last year). Where a vacancy has….occurred in the place of a senator chosen by the people of a State and, at the time when he was so chosen, he was publicly recognized by a particular political party….a person chosen or appointed under this section in consequence of that vacancy….shall….be a member of that party. I don’t think there’s been a wide comprehension throughout Australia about how this could play out. It actually falls on me as Premier and (state) cabinet to select the replacement….It could well be that the state Parliament in a joint sitting takes a different view (to One Nation). Because an election is about to occur in Western Australia, the Parliament won’t sit for the next few months. This could mean that the Western Australian Executive Council (i.e Premier and Cabinet) would advise the Western Australian Governor on who to appoint to the Federal Senate. The article in the Australian suggested that Premier Barnett was looking at whether the number 2 on the One Nation ticket at the last election should be nominated to take the vacant Senate place. This is Peter Georgiou, who is Rod Culleton’s brother-in-law. Whoever fills the vacancy must be a member of One Nation, and must be approved of by One Nation because the nominee must still be a member of the party to be sworn in as a Senator. If a One Nation member not approved of by the party is appointed, then One Nation can revoke their membership and the replacement cannot be sworn in as a Senator. This concept suggests that if the Premier and cabinet chose Peter Georgiou to replace Rod Culleton and the One Nation party were unhappy about this, they could disendorse him. He then couldn’t be sworn in as the replacement Senator. Mr Culleton’s personality has been on display for months as he continues with his plethora of legal battles. But is this actually good for Australia? Or is it a distraction. Mr Culleton wrote to other Senators seeking support for his move to try and recall the Upper House to use its powers to try and fight the court’s judgment against him. The Senate has no power to fight a court’s judgement against an individual. The federal court’s power is derived straight from the Constitution. We don’t have Presidential pardons like in the US. Mr Burston said he disagreed with Mr Culleton’s request to use the Senate’s powers to try and help fight his bankruptcy charge, given a separation of powers existed between the court and Parliament which should be respected. The High Court’s first sitting fortnight for the year starts on 30 January. The federal Parliament reconvenes on 7 February. We may or may not have an outcome by that date. We’ll have to wait to find out how Rod Culleton will be replaced.